With wooden design Reveal Bluetooth earphones deliver a gorgeous combination of natural aesthetics and modern technology. Like the idea? Let’s have a look. This is a pair of beautifully designed wireless earbuds that weighs only 3.52 ounces. 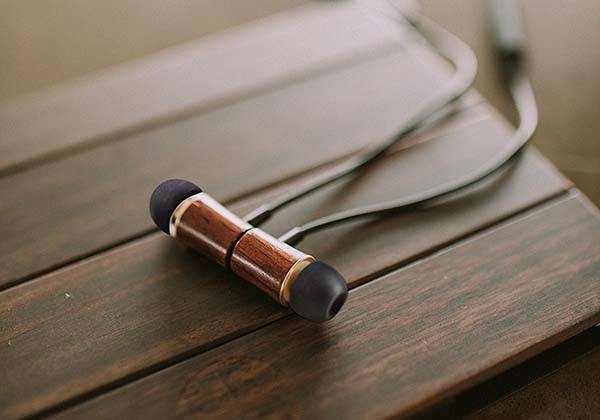 As we can see from the images, the earphones feature two wooden earbud cases that not only provide a solid construction, but also shows off charming wood grain. The wooden earbuds come in two natural materials including bamboo and hardwood for different personal preferences. Meanwhile, three pairs of eartips in different sizes provide a custom fit for every listener. 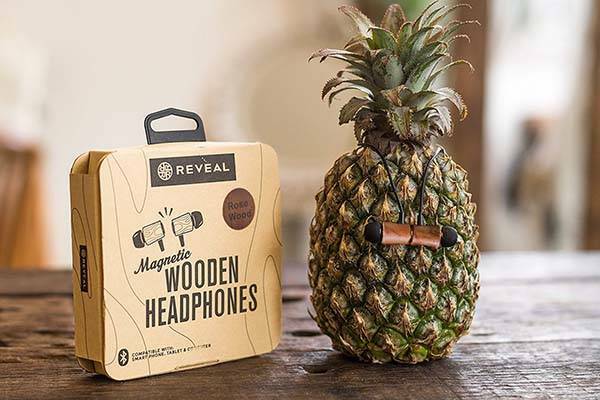 The wooden earphones use Bluetooth technology to wirelessly connect with your Bluetooth enabled smartphone or tablet in order to deliver balanced wireless stereo audio, and built-in passive noise cancelling technology helped eliminate external noises for a more immersive playback experience. Furthermore, a microphone has been built in the in-line remote control, which allows you to easily answer handsfree calls, and the remote lets you control your music playback without having to take out your phone. Moreover, the earbuds are magnetic so that you can click them together and keep them around your neck for easy storage and access. When clicked together, the earbuds will automatically turn off your music. When separated, your music will automatically turn on again. 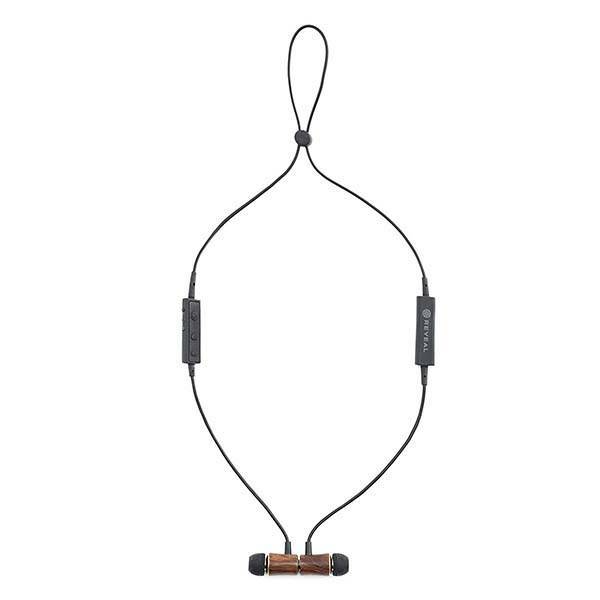 The Bluetooth wooden earphones are priced at $39.99 USD. If you’re interested, jump to here for its more details.